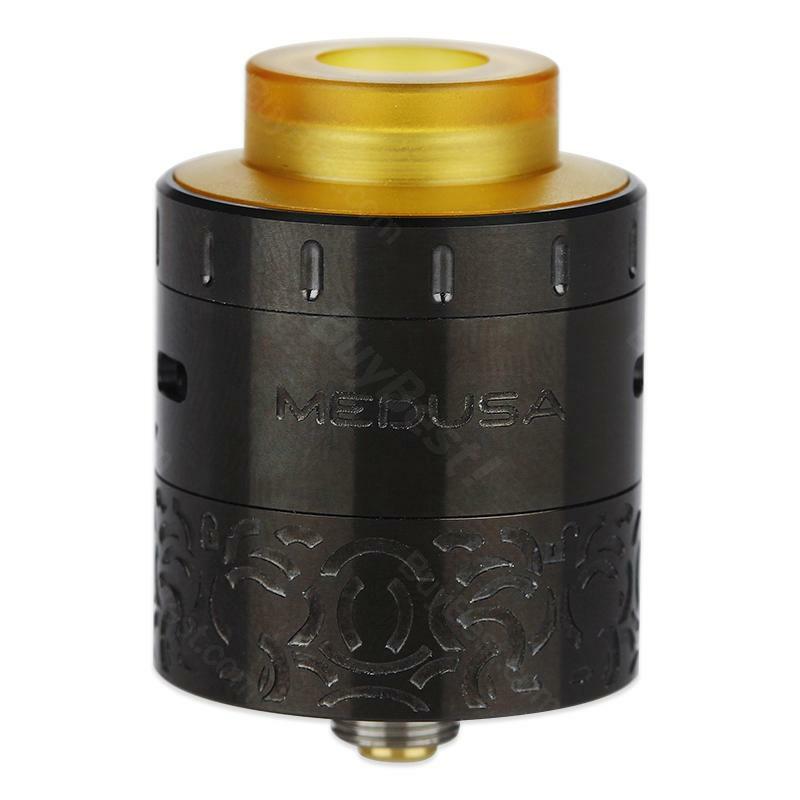 GeekVape Medusa is a new generation of compact, compact RDTA with an innovative drip system. 3ml capacity to meet your daily needs, now has black and SS two colors for you to choose. GeekVape Medusa is one of the best in GeekVape. Its internal structure is simple and compact, 3ml capacity to meet your daily needs. The short axis adjustable side airflow gives you the perfect taste. Medusa's innovative drip system makes assembly and filling very easy. It not only has a stylish look, but now has black and SS two colors for you to choose from. Choose it, you will not regret it. My brother have a Medusa and he loves it very much. I wanted to have a try, so grabbed it. A very nice product indeed. I was recommeded of this vape shop by a friend. They have so many cool products, and also with afordable prices. Will buy again. I'm a fan of Geekvape, and love those RDAs. Try this one, trust me.